Just when I thought I was going to get away with not doing wedding favors at Nadine and Greg's wedding, tragedy struck! 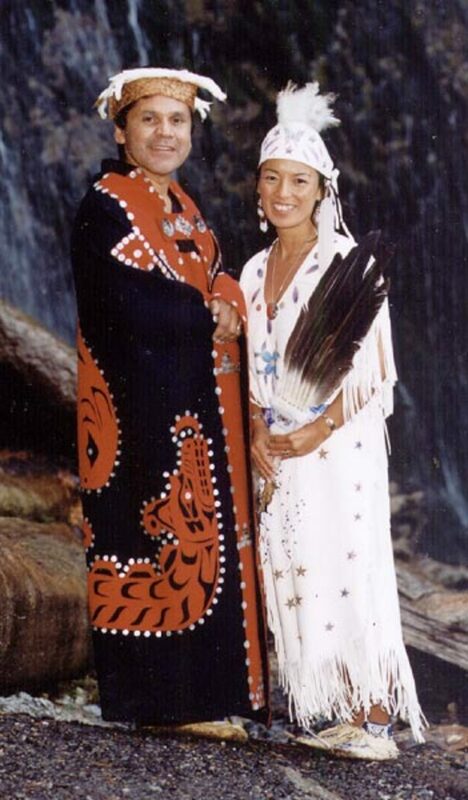 If you've read some of my other stories about their wedding, you know that Nadine and Greg, socially conscious couple that they are, had decided to give a contribution to charity instead of giving away favors. I, as the wedding planner/decorator/director/florist thought this was a FABULOUS idea. Not only for the altruistic aspect, but also because it would be one less thing I would have to do! Because I'm close to nervous breakdown proportions. If you don't know what a nervous breakdown is then you are obviously not from the south, because down here, we give our mamas one at least once a week! The tragedy came in the form of an event we did at work for families called a Sweetheart Ball. Kind of a mother/son and father/daughter dance for Valentine's Day. The event was massively popular and very well attended. However, one of the most popular parts of the evening turned out to be the candy buffet, executed by yours truly who had never set one up before in her entire life. I had only heard about them and seen pictures in magazines. Because I was brought up in a family of six and my parents were Mr. and Mrs. Penny Pincher, I learned a few things about saving a dollar over the years. We had a ton of candy left over from a previous event at work and I couldn't stand to see that candy go to waste. Eating all of it at once was simply out of the question, even for a candy fiend like me! 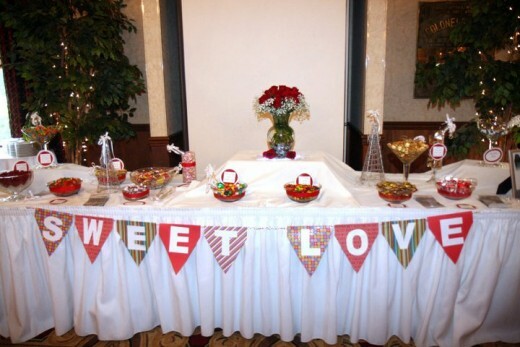 The candy buffet at the Sweetheart Ball did turn out pretty cute, if I do say so myself, but I won't waste too much time trying to dislocate my shoulder with all that patting of my own back. 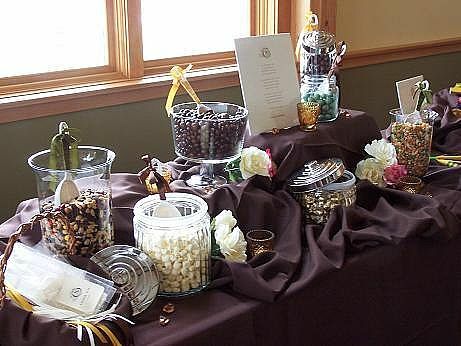 However, there were a couple of things I did that I think could translate well into a candy buffet for a wedding. First things, first, I had a very handy guy build a stair riser out of some scrap wood he had. It was nothing but a scrap of plywood 4 feet long and 8 inches deep. He nailed pieces on each end to raise the board up very much like you would see on a house that was under construction. 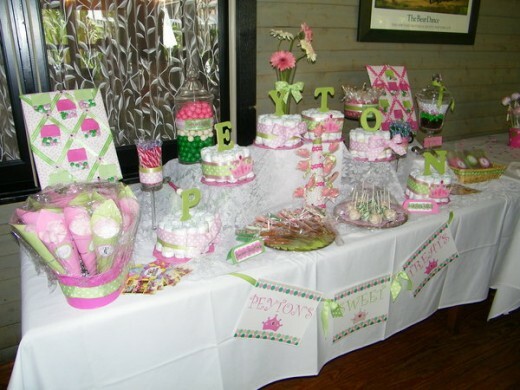 This worked out great for the candy store, because I covered the whole table with a white tablecloth first, then draped a cute piece of pink fabric printed with cupcakes all over it over the riser. This gave the buffet two levels instead of one and made it look more an old fashioned candy shoppe. I typed each one of the titles on my computer in a cute font and changed the font to red. I made sure to leave adequate space between each word, because after I printed them, I cut them into smaller hearts than the fun foam ones and double-sided taped them to the fun foam hearts. I also used the double-sided tape to put red and white striped and polka dot ribbon around the lids of each jar which made it it all the more cute...so cute that anyone who looked at it felt like their head was going to explode into candy from the cuteness! i used blocks of florist foam and wrapped 2 inch ribbon around the edge of each and stuck candy canes down in them.. They made great holders for the candy canes! So...the candy buffet at the Sweetheart Ball was so successful that my boss (the mother of the bride) suggested to Nadine (the bride) that we do the candy buffet not necessarily as a favor, but just for fun. So...I have taken on one more thing to add to my list of duties for this wedding. But this work will seem more like play, because I had so much fun setting up the one at the Sweetheart Ball! I've already started collecting containers for the candy. A big part of the visual impact of a candy buffet is (1) the varying heights of the containers and (2) the containers themselves. I got very lucky and had a friend give me a trifle dish which i plan on using. My friend, Maggie, has two over-sized martini glasses and two equally over-sized wine glasses she's going to let me borrow. I also found two very pretty glass vases in our staff lounge...probably left from someone's flower arrangement from an ex...and Nadine's mom took a trip to the dollar store and found six more. Two were a heart shape flat sort of bowl, two were tall cylinders, and two were beautiful bowls with a gorgeous design on the bottom. It pays to shop the dollar store! We'll probably beg other interesting containers from friends, but the point is, you don't have to spend a lot of money on this part of the buffet. Nadine's wedding colors are red & white, so we're going to stick to candies in red & white with a little color thrown in for fun. We are shooting for 20 containers in all which should be enough to fill an eight foot table. 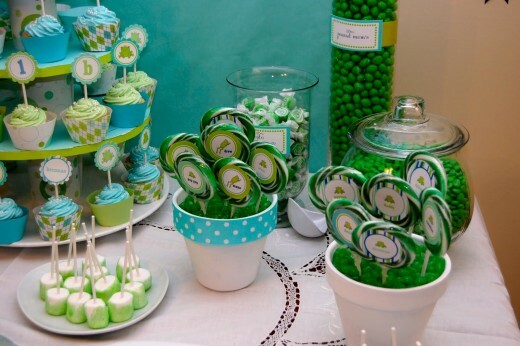 Candy/or cookies for a red & white themed wedding could include the following: peppermint sticks (of course! 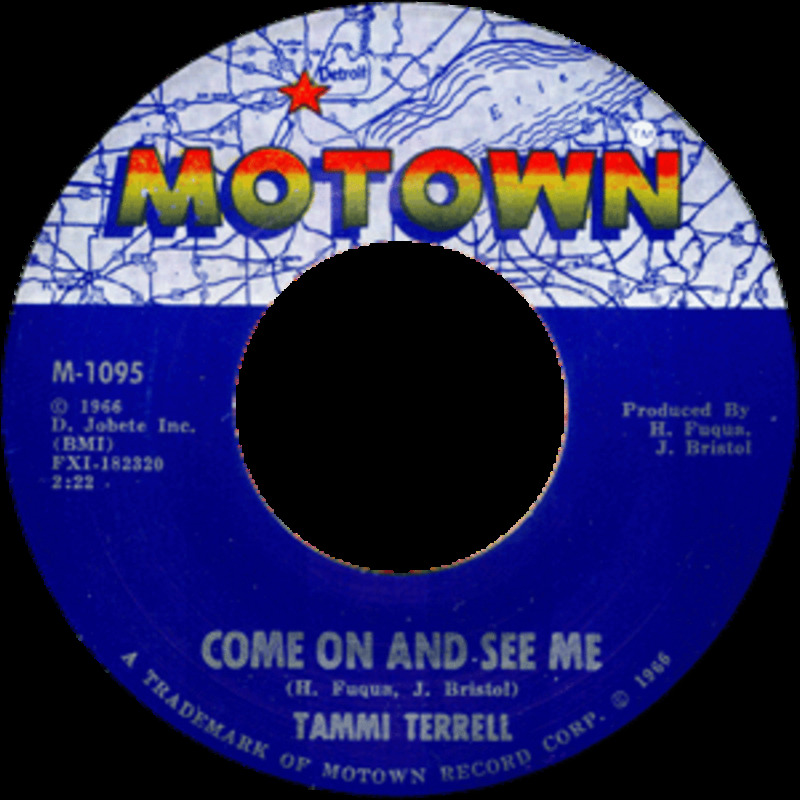 ), Twizzlers, red & white M&M's (sold at Valentine's or on the M&M site), rock candy sticks, white chocolate covered Oreos, yogurt raisins, red hots, cinnamon hard candy, white chocolate covered pretzels, cherry lollipops...the list goes on and on...and gets yummier by the minute! For a centerpiece, I am creating a gum drop topiary from two Styrofoam balls, a flower pot, a dowel, florist foam...and gum drops, of course! It would be easy for anyone to make one to go with on their candy buffet since gum drops come in so many different colors. Just get a flowerpot about 8" tall, pack it tightly with floral foam and put a 26 to 30 inch dowel down in the center of the foam. Get two Styrofoam balls in graduating sizes and slide them down onto the dowel leaving a space in between. Push one end of a toothpick into a gum drop, the other end in your Styrofoam ball. Repeat until your Styrofoam balls are completely covered with gum drops. Get some tulle or ribbon and tie a bow below each ball, cover the florist foam in the flowerpot with jelly beans, sugar, Easter grass, or any covering you like and you are done! 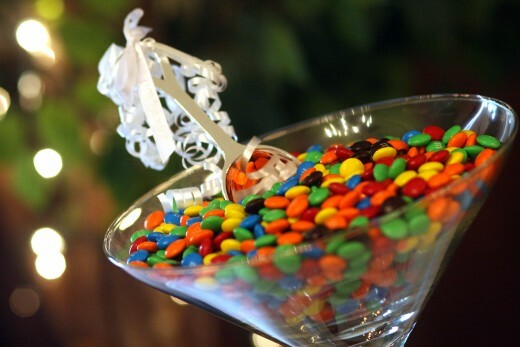 Make sure you have scoops for each container, so guests won't be touching the candy with their hands. Fill in blank spots on the table with flower petals, little snippets of curly ribbon, shiny crystals, etc. Add interest to the table by layering differing colors of fabric over the main tablecloth. Shove books, milk crates, or other objects under the tablecloth to create those varying heights I mentioned earlier. Don't forget a cute sign for the table! Nadine & Greg's says, "Hugs & Kisses from the New Mr. & Mrs.! Enjoy!" So adorable! Can't wait till the wedding! what length table is good for buffet (candy) 6 or 8 feet long? I love candy bars at wedding receptions. I'm helping my future sister in law plan her wedding and she's having a candy bar. I looked online and found a company, Box and Wrap that supplies cute candy bags, candy boxes, and Favor boxes. She's going to order some and let the guests fill their own container from the candy bar. 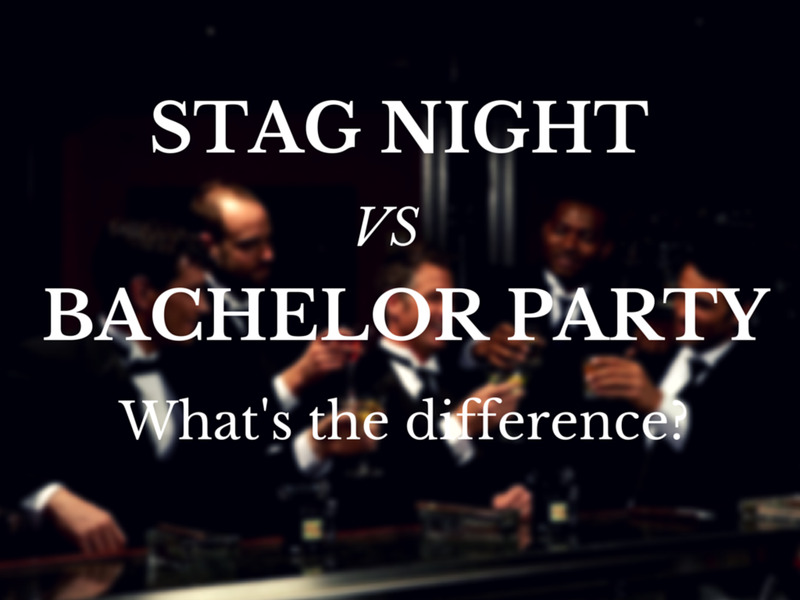 Another great hub with great party ideas! Thanks so sharing! I'll forgive it from you, KoffeeKlatch! Thanks! A truly wonderful, sweet (sorry) idea. Loved it. Thanks, Crystolite. I appreciate the comment! Nice hub with correct videos to match for a unique sweet weeding reception. Thanks, Truckstop! If I don't break all the containers before June 11, it would be a miracle! What great ideas!! 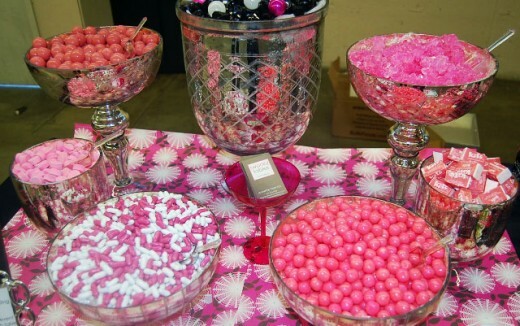 Love the candy buffet, and the wedding will be great too. Red and white are my favorite colors too! 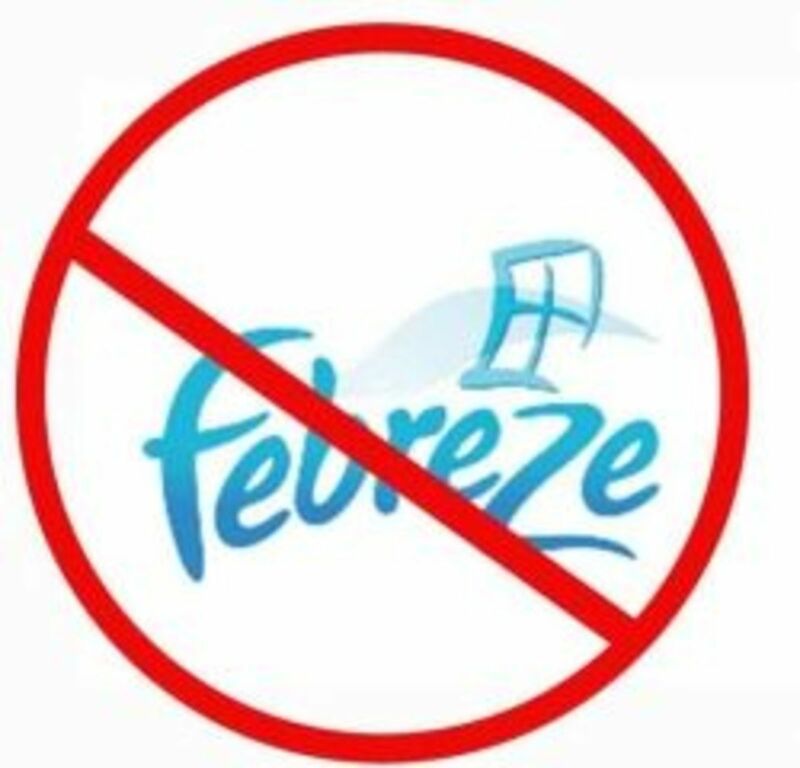 I am bookmarking for when I can use later. That's because I hang out with clever people! Thanks!